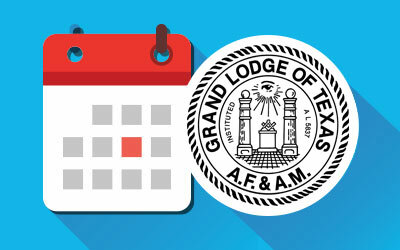 Native Texan, Joe Weldon Steed, Grand Master of the Grand Lodge of Texas, A F. & A. M., has had a varied and interesting career. He was born on August 31, 1910, in Winnsboro, Wood County, Texas. It was there he spent his early life and completed his Public School training. He continued his education at East Texas State University in Commerce, Texas, where he earned a Bachelor of Science Degree. A lovely wife, Lillie Dora, and two lovely daughters are the Joe Steed family. Mary Jo is a teacher in the Richardson Public Schools, Richardson, Texas, and Martha Ann is an employee of the Titus County Memorial Hospital, Mt. Pleasant, Texas. Since 1934 when Mr. Steed completed his education he has been involved in various fields of endeavor. For a time he taught in the Omaha Public Schools, Omaha, Texas, and later he served as Field Worker in Gilmer, and as Area Supervisor for the Texas Department of Public Welfare in Mt. Pleasant, Texas. Later in Mt. Pleasant he was in the insurance business and for two years was Acting Postmaster. 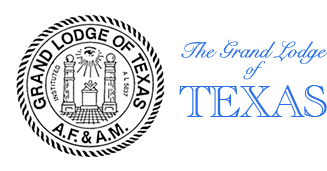 At present he is employed as Field Representative and land appraiser for the General Land Office of Texas in Mt. Pleasant, Texas. During the years our Grand Master has been active in the religious and civic life of the community. As a member of Tennison Methodist Church he has served as Chairman of the Official Board, Chairman of the Board of Trustees and a delegate to the Annual Conference on several occasions. He has worked for the betterment of the community as Chairman of the Board of Directors of the Titus County Memorial Hospital in Mt. Pleasant and for better government as a member of the State Democratic Executive Committee and as Chairman of the Titus County Democratic Committee and is now a member of the Mt. Pleasant Chamber of Commerce. A long career in service to the Fraternity began when he was raised a Master Mason in Commerce Lodge No. 439, Commerce, Texas, in 1934. He affiliated with Bethesda Lodge No. 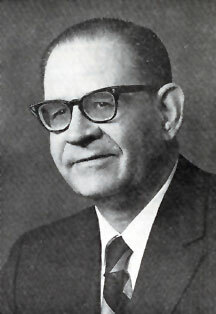 142, Gilmer, Texas, in 1937 and served them as Tiler in 1940 and 1941, Senior Warden in 1943 and Worshipful Master in 1944. In 1944 he affiliated as dual member with Temple Lodge No. 90, Mt. Pleasant, Texas, and served as Senior Steward in 1947 and again in 1954. In 1949 he was chosen Tiler. This Lodge is his home Lodge now since he demitted from Gilmer Lodge No. 142 in 1948. He has since become a dual member of this Lodge where he served as Worshipful Master. District Deputy Grand Master of the 6th Masonic District was Mr. Steed’s first service to the Grand Lodge. Since then he has been active in all of its business, serving as Grand Senior Deacon in 1946 and for many years on the Grand Lodge By-Laws Committee; ten of those sixteen years was its chairman. In 1968 he was elected to the post of Grand Junior Warden and thus began the steps that led him to the position of Grand Master in 1971. It is well to list the Masonic Organizations of which he has been a member in order to see the scope of his influence in the past and for the future. Rob Morris Chapter No. 40, R. A. M., Mt. Pleasant, Texas. Rob Morris Council No. 31, R. & S. M., Mt. Pleasant, Texas. Pittsburg Commandery No. 43, Knights Templar, Pittsburg, Texas. DeMolay Conclave, Red Cross of Constantine, Waco, Texas. Dallas Scottish Rite Bodies, Dallas, Texas. Hella Shrine Temple, Dallas, Texas, Sharon Shrine Temple, Tyler, Texas. Order of the Eastern Star, Mt. Pleasant, Texas. Honors have been conferred on Mr. Steed by the Order of the Eastern Star when they elected him as Patron of the Chapter in Mt. Pleasant and the Order of DeMolay by conferring on him the Legion of Honour. 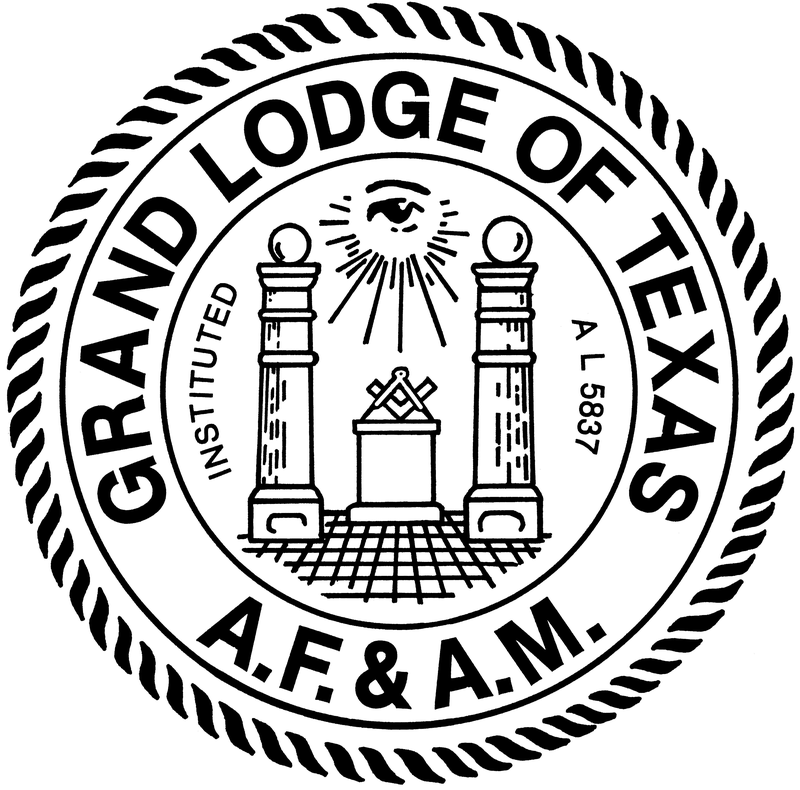 He holds the Honorary Inspector General 33° in the Scottish Rite Bodies and an Honorary Life Membership in Sharon Shrine Temple, Tyler, Texas. During the Annual Communication in December, 1971, he was elected to the Board of Directors of the Masonic Home and School for a five year term. The Board then elected him to serve as treasurer for this great institution. His theme for the year was “Masonry Helps Today to Save the U. S. A.” and from all reports this theme was well received and appreciated by the Masons of Texas. From past performance it can be seen that Brother Steed is just beginning his career in Masonry rather than ending it and his experience and ideas will enrich the Order for years to come.